Trying to find the right Katy TX HVAC Air Conditioning Service is something that can be really difficult when you don’t know what to do next. Are you ready to start figuring out what’s going on with your systems and you don’t have any idea on how handle it? This is something that can really get the best of the general population, but with Houston Admiral Services around, things will be just fine. Contact us today at 281-876-9400 to learn more about the many services we have. Or, if you’d like, continue reading to learn more about the services and offers we provide to our residential and commercial customers. Houston Admiral Services is a company that has seen it all. For decades, we have been dispatching our workers to different areas of Houston that need help. Are you trying to figure out how you’re going to be able to make the most out of your Katy TX residential AC unit? Perhaps you’ve got an office in Cypress that is going out of heat and you need to fix this immediately. These are very urgent situations that are going to require your best effort, and they may also require some assistance. Are you on the market for a professional to give you a helping hand before you tackle this situation all by yourself? While you may not know where to go or who to trust, we think you’ll be just fine with Houston Admiral Services around. Our team of residential servicemen are here to help you with your problems, and we understand what it’s going to take to help you get out of them. Are you trying to figure out how your house’s AC unit is going to stay in great shape? While you may be someone who’s been a great handyman for years, sometimes, you might want a professional. This line of work isn’t exactly “popular”, but there are enough of us to where you won’t have to put your loved ones in jeopardy trying to fix it all alone. 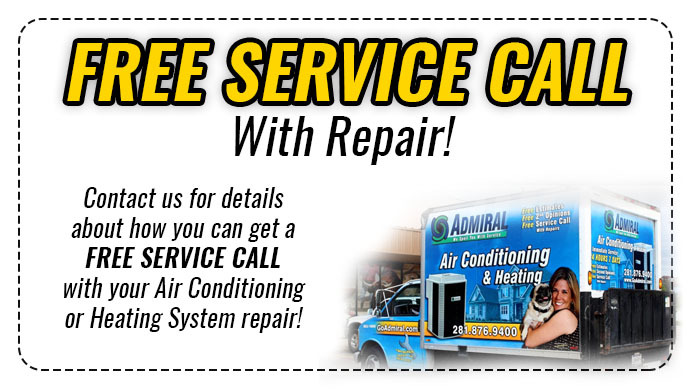 Make sure you’re able to succeed and make the most out of your AC setups by calling in Houston Admiral Services at 281-876-9400. In addition to this, did you know that we can also solve your maintenance problems in a timely manner? 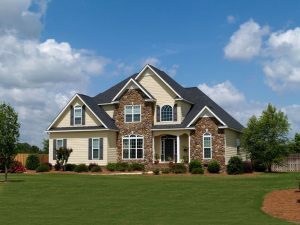 You’re probably on the market for the right resources that get you out of your situations, and we know that maintaining an AC unit can be a lot at times. If you don’t know how you’re going to keep your appliances in the best conditions possible, we can be of great assistance to you. By contacting Houston Admiral Services, you’ll be able to find the right resources for even better prices. Our team is always willing to help, and we’ll make sure you don’t have to suffer for too long. Just because you don’t have a working AC and heating unit doesn’t mean you have to fail! Our Katy TX HVAC Air Conditioning Service maintenance program is one of the best in the country. You’re probably trying to figure out how you’re going to be able to keep your AC units in great shape. Because of this, you’re going to want to make sure you hire the right servicemen to handle what’s going on. Our team of professionals are on the right side of history, and we’ll make sure you’re properly taken care of when you call us and reach out. Houston Admiral Services provides you with a 31-point detailed inspection that gets into every crevice and cranny of your AC unit. We realize that heating and cooling problems are really tough to handle, and we want you to make sure you know that you’re getting the best by calling our team. AC units are supposed to last up to 20 years, and that’s an incredible lifespan for a piece of machinery. However, this doesn’t mean that you can simply ignore your appliance for two whole decades and follow it up with a seamless replacement. Are you trying to keep your AC Bills low? Are you ready to gear up for the hot summer that’s ahead? For the right ways to handle these things (and much more! 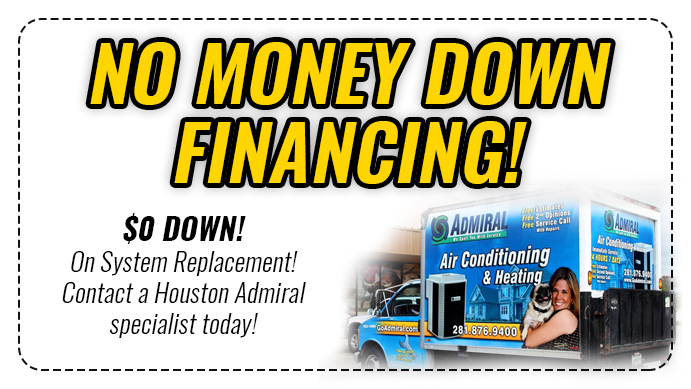 ), contact Houston Admiral Services at 281-876-9400. Houston Admiral Services puts a lot of investment and pride into the people we hire, and we’re proud of our servicemen. Are you trying to figure out how you’re going to be able to handle your setups and solutions, but you don’t know what to do next? While you may feel like you’re the ultimate handyman, it’s always good to hire some professional who have faced these types of problems before. While you don’t always have the resources to do this, when you do, make sure you take advantage. Striking while the iron is hot can absolutely change anyone’s life, and you never know what you have to gain. After all, you have nothing to lose! Make sure you’re able to count on your Katy TX HVAC Air Conditioning Service professionals. Things can really go wrong when you don’t know who to trust or where to go for the best AC services. While you may not want to do the right thing or make the wrong mistake, Houston Admiral Services is here to help you out. Call us today at 281-876-9400 to learn more about what it takes to ensure you succeed. With our team on your side, you won’t have to wait too much longer for the assistance you deserve. Katy is one of the safest and most progressive communities in the state of Texas. Katy, Texas contains Cinco Ranch, an award-winning subdivision with access to highly rated schools in Katy. You can count on these elementary, middle, and high school buildings to lead your students in the right directions. If you want your children to start off on the right direction, visit Katy!